How contact forms work, what the configuration options means and how to use "weight"
Here we look at how contact forms in Drupal 8 are fieldable just like any other entity in Drupal, but unlike other entities it's the form and not the output that is presented to the end user. We begin to modify the default contact form to suit the requirements of our wireframe and work through the configuration options available for contact forms in general. 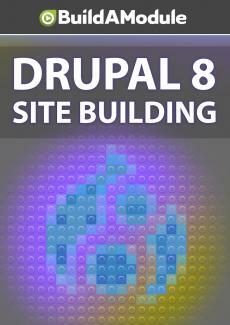 So Drupal comes with a form builder, let's open it up. I'm going to go to Structure, Contact forms. The Contact forms work very similarly to content types, except instead of the value of the fields being displayed publicly, the fields themselves are. We get to use all of the same fields and when a user submits the form, an email gets sent to whoever you've specified. By default, Drupal comes with this Website feedback form. Let's open this up in a new tab. So this actually looks pretty similar to what we want. It's got website feedback, your name, your email address, subject, message, send yourself a copy, and then Send message and Preview. Now if we look at this in an anonymous browser, I'm jumping to our incognito window here, you can see that the Your name and Your email address aren't pre-filled like they are when we're logged in. So let's modify this form to make it match our wireframe. Let's go to Edit to see what the configuration options are here. So we can set the title here, in our case we want the title to be Contact MagnifAscent, so let's change that.